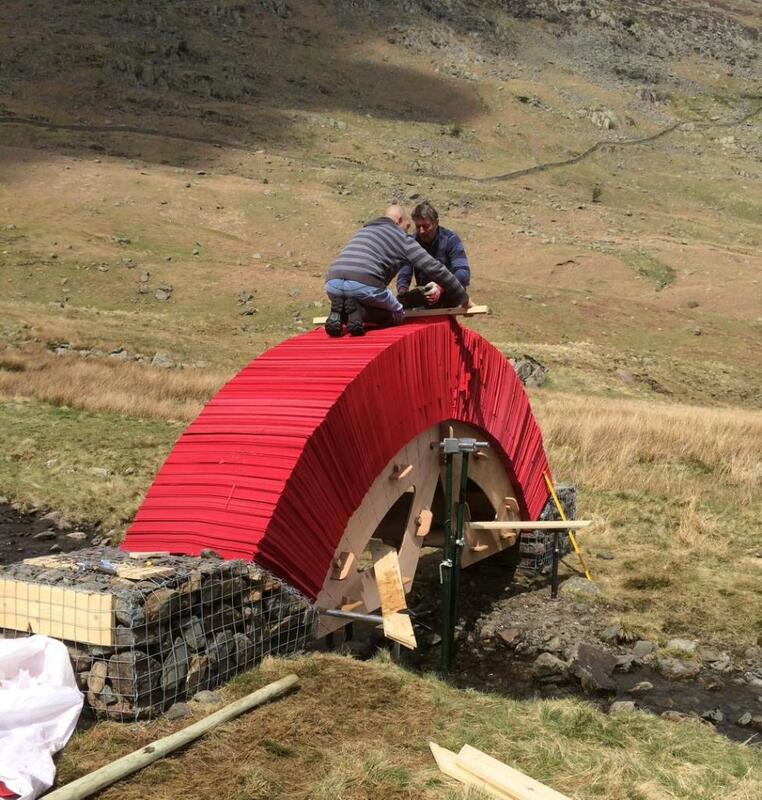 A red paper foot bridge arcs across a small river in the Grisedale Valley in Cumbria. Accessible by a 2 mile walk from the town of Patterdale, it sits in nature as a bright tribute to its natural surroundings, as well as to art and engineering. The temporary installation by British environmental artist Steve Messam is made from 22,000 separate pieces of locally-sourced paper. It’s held up with no framed support, no glue, and no nails or screws. Just 4200 kilograms (9259.42 pounds) of paper! The physics of the weight distribution gives the bridge the strength to safely support visitors, as seen in the above video by YouTuber donkershaw. Here’s another video by Henry Iddon that shows the bridge in the landscape. The site-specific piece is open to the public from May 9-18, 2015, and will be recycled as a part of the project. Related reading and videos: Arch bridge, abutments, How Bridges Work, and from PBS Learning Media: Physics of Arches. Related DIY: The Potato Arch.